St Andrews Waffle Co popped up on our streets a little while ago now but I didn’t get a chance to call in until recently. As always, it was very busy inside (a good sign if you ask me), but that didn’t deter us from finally trying the waffles. Instead, we found ourselves sat outside on the benches, hoping that the unpredictable Scottish weather wouldn’t turn on us until we had managed to finish our food! What I didn’t realise was just how extensive the selection of waffles was. 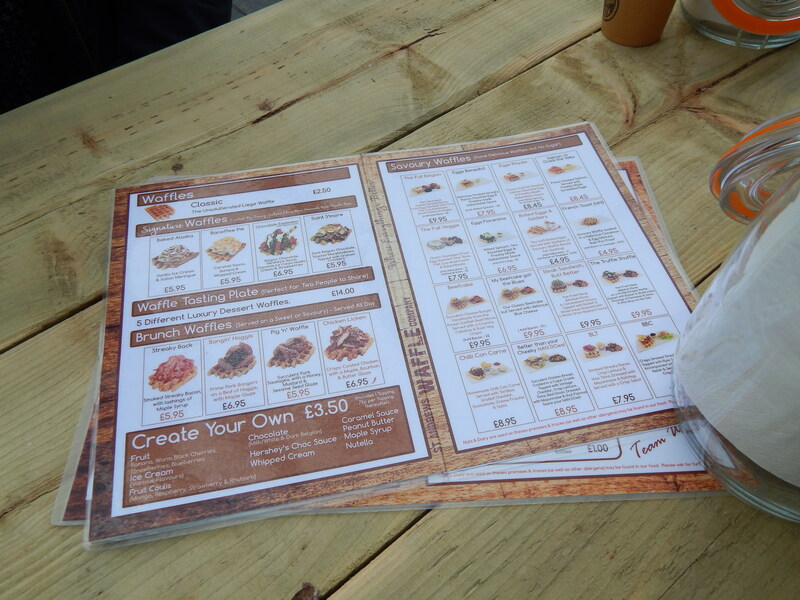 When I first checked out the menu, they had a small number of tasty looking offerings. 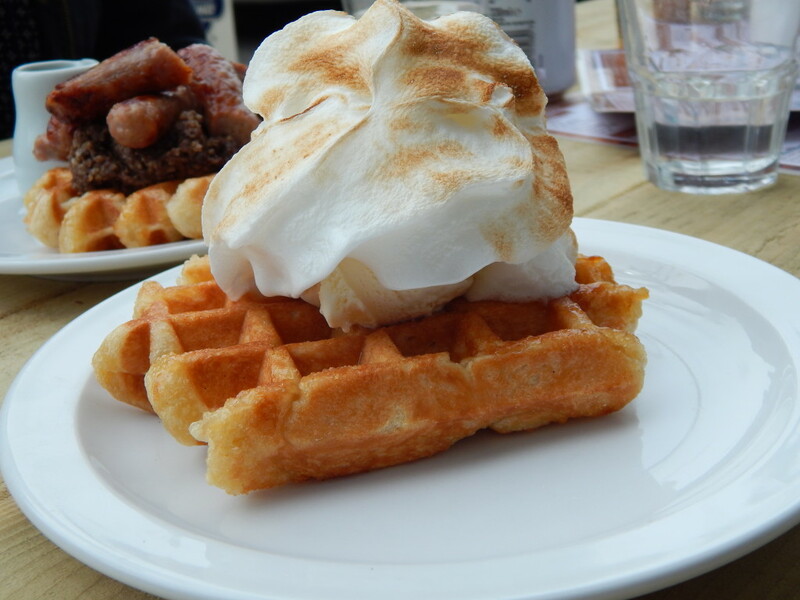 I may have been blinded by my sweet tooth or just a little oblivious but I didn’t realise that they did savoury waffles and I definitely didn’t realise they did quite so many. Some of them seemed a little unusual to me ( a full english on a waffle? Eggs Benedict? A burger?) but plenty of people seemed to be ordering them, so they were clearly popular. Sam being ever braver than I am decided to one such concoction. 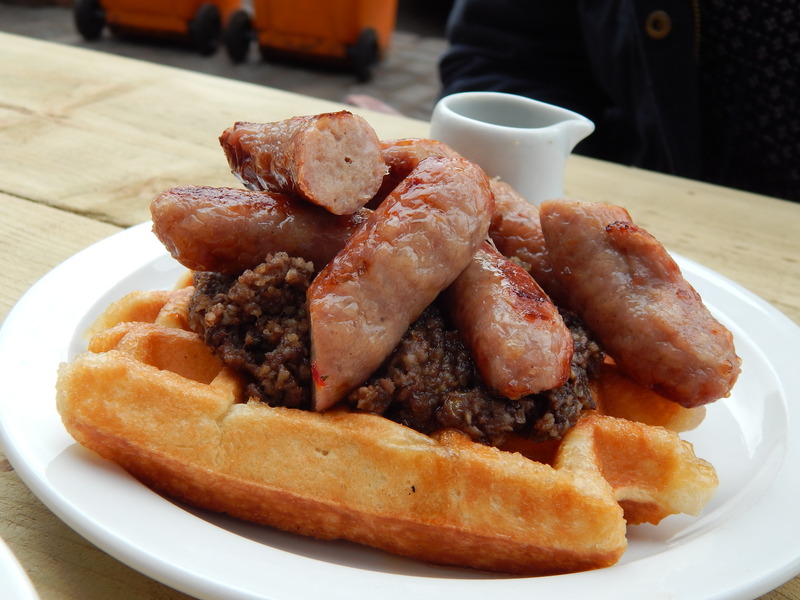 She chose the ‘Banging Haggis’, which was a mixture of haggis, sausage and a maple glaze on a waffle. Since she is so kind, she let me try a little and it was nicer than I expected. A little weird, but in a good way. She felt the same way, by the sounds of it. I’m not sure if I’m quite ready for the big league savoury waffles yet though. In a move that will surprise no one, I chose a sweet waffle, finally deciding on the Baked Alaska, which came with ice cream and meringue. It was so good! Definitely worth trying again, though I also have my eye on the Smores creation too. 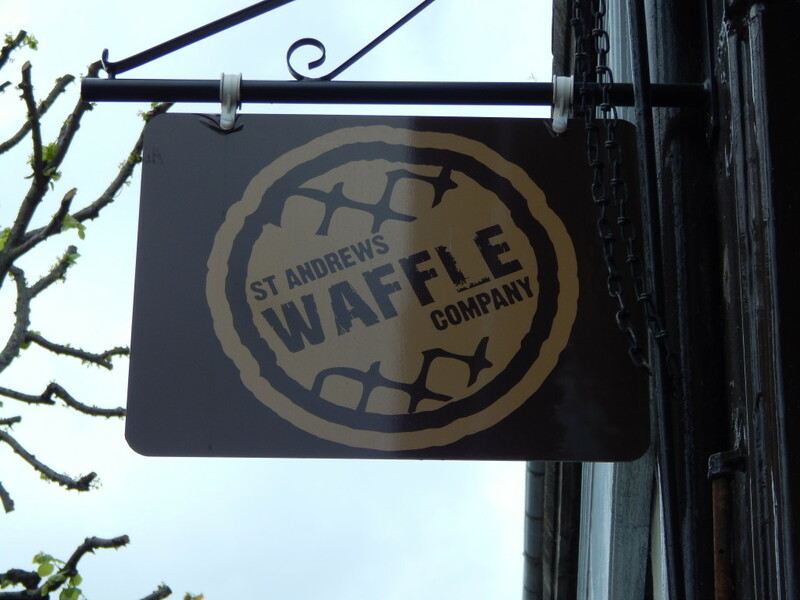 Ultimately, I would go to St Andrews Waffle Co. They have barmy and creative concoctions, great food and friendly staff. That’s a winning combination in my books. It’s just a shame that I discovered it just before I leave Scotland. How many times is too many times to visit a waffle shop in six weeks? Something tells me I’ll find out soon.